If you haven’t noticed by now, using detox teas for weight loss has taken the world by storm. It seems like every day they’re mentioned by bloggers, Instagram celebrities, magazine editors, health gurus and personal trainers. And whether you call them detox tea, weight loss tea, slimming tea or diet tea, there’s no denying that these teas are HOT right now! The benefits of these teas ranges from simple detoxing, to increasing your metabolism to weight loss and more. So it’s no wonder why so many people use them. The only problem is, there are now so many of these teas available, it’s hard to figure out which ones work the best. Our team of “tea testers” signed up to be guinea pigs and try out all the different detox teas out there. So we’ll actually go out, buy every detox tea we can find, and use them on ourselves. We’ll break down each tea and tell you if it’s one that actually works, or if it’s one that you’d be better off avoiding. And once you find the perfect product, we’ve got a bunch of articles on how best to use it depending on your goals. So keep reading if you want to learn more about detox teas and how they work, or go straight to our list of the best detox teas. Next to water, tea is now one of the most commonly consumed beverages in the United States. Over 158 million Americans are drinking tea on a daily basis which represents over 3.6 billion gallons of tea per year. So obviously, we like our tea. But what about detox teas? In today’s world, we’re constantly in contact with toxins, pollutants, chemicals, preservatives, and just junk we don’t need. Our daily routines such as sedentary lifestyles, stress, processed foods filled with sugar, salt, and fat, prescription drugs, pesticides, cigarettes and secondhand smoke, can all wreak havoc on our bodies. Basically, we’ve become good at over consuming the not-so-good, and sometimes it can cause our bodies to not work as efficiently as possible. A key player in this is dealing with issues such as losing weight, maintaining a healthy weight, or just wanting to nourish our bodies in order to look and feel our best. Research is continually validating and discovering new ways that tea can support a healthy lifestyle and an overall healthy body. As you can see, the potential benefits of detox teas are substantial and help explain why they are so popular right now. What Exactly Is A Detox Tea And How Do They Work? A “detox” involves removing toxins from the body that may accumulate from various sources like our diet, environment, or chemicals we use. The bombardment of these toxins may lead to lower energy levels, weight gain, and even a greater risk of developing certain health issues. Detox tea is designed to negate these potential problems. The detox teas themselves are made up of various components including pure teas (those coming from the Camellia sinensis plant – green, matcha, black, oolong, pu-erh, and white tea), herbs, spices, and additional beneficial ingredients. So how do these teas work? There are quite a few factors that go into making a detox tea actually detox, so get ready for some science! At first glance, tea doesn’t seem too complex, but tea leaves have thousands of chemical compounds. Of the natural chemical compounds in tea, the most abundant are polyphenols. Polyphenols are broken down into different groups. The most significant groups are the flavonoids because they’re the basis of much of the scientific research that’s been done on tea, particularly regarding tea antioxidants and health benefits. We’re going to break the flavonoids down one step further into flavanols (I promise this is the last category). The key flavanols that make up tea are: catechin (C), epicatechin gallate (ECG), epicatechin (EC), epigallocatechin (EGC), gallocatechin (GC), and epigallocatechin gallate (EGCG). Again, these flavonals are mentioned quite frequently in scientific studies on tea. Sometimes these flavonals are collectively referred to as catechins. Flavonals also contribute to the overall taste and color of the tea’s infusion. If you’e looking for more information on what’s in these teas, check out, “A List of Detox Tea Ingredients and What They Do“. OK But Is There Any Actual Research Showing That These Teas Work? You bet and we’re going to show you! So let’s look at the research regarding weight loss and improving overall health. Studies suggest that pure teas such as green, white, black, oolong, and pu-erh all have beneficial properties, such as increasing energy and boosting metabolism, which aid in weight loss. The American Journal of Clinical Nutrition published a study that shows green tea’s rich supply of catechins and polyphenols produce a thermogenic effect, as well as the promotion of fat oxidation. The thermogenic properties aid in weight loss because it elevates the amount of calories your body burns. The American Society for Nutritional Sciences suggests that drinking oolong tea can increase fat oxidation and increase your body’s metabolic rate. Fat oxidation breaks down stored lipid molecules (aka fat) and your metabolic rate is speed that your body burns calories. Published findings in the peer-reviewed journal, Oxidative Medicine and Cellular Longevity, which included meta-analyses and epidemiological studies, suggests that long-term diets consisting of plant polyphenols may significantly lower the risks for developing cardiovascular diseases, diabetes, cancers, neurodegenerative diseases, and osteoporosis. So not only do teas have the ability to promote weight loss, they may also protect against lifestyle-related diseases and in turn foster a healthy body. The journal, Pharmacognosy Reviews, states that plant-derived antioxidants, like that of tea, prevent tissue damage caused by free radicals and also have anti-inflammatory properties that may reduce chronic health problems. Along with pure teas, detox teas may utilize herbal teas and ingredients, which are made from the infusion of various spices, herbs, or other plant material like seeds, roots, flowers, berries, and bark. These teas may have a wide range of health benefits such as suppressing appetite, aiding in weight loss, boosting metabolism, reducing belly bloat, increasing immune function, enhancing appearance of skin, elevating mood, and lowering stress levels. Another component of detox teas involves cleansing. There are mainly 2 ways that detox teas cleanse and this is by including herbal laxatives and diuretics. Each of these cleansing herbal additions can lead to short term weight loss in the form of water weight, not fat loss like pure teas can promote. Laxatives help you lose water weight very quickly by increasing the size and frequency of bowel movements. Herbal laxatives can prompt the intestinal muscles to contract, leading to a quicker bowel movement, and also by absorbing more water to increase the size of stool. Herbal diuretics promote the excretion of water and salt from the kidneys, which then increases the overall volume of urine produced. These diuretic properties help shed excess water weight and also reduce puffiness and bloating. It’s important to note that detox teas utilizing strong laxatives aren’t healthy and may even cause harm. For instance, the laxative Senna is a very powerful herb that can cause adverse side effects, especially when used for longer periods of time. Overall, a gentle cleanse is okay and can be beneficial, especially for short term to help kick start weight loss, reduce bloating, and have you feeling better by shedding any unnecessary water weight. Detox teas may also include additional non-traditional herbal ingredients such as acai berry, garcinia cambogia, guarana seed and ginseng. These ingredients are meant to increase energy levels along with boosting potential weight loss. Through the combination of pure teas, herbs, spices, and botanical ingredients, detox teas use their natural properties to help aid in weight loss, reduce the risk of certain diseases, cleanse the body, and improve overall health. What’s The Difference Between Slimming Teas, Detox Teas, Diet Teas And Weight Loss Teas? The more popular these teas become, the more companies are producing them. This led to a wide array of products with an assortment of titles and brands. However, there’s no actual difference between a slimming tea, diet tea, weight loss tea, or a detox tea. These can all be used interchangeably. 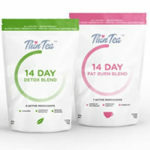 The main goals of these teas are to promote weight loss, overall health, and cleanse the body in some fashion. So don’t let the myriad of names overwhelm you, all of these titles fall into the category of detox teas and aim to produce the same overall goals. Above all else, safety needs to be the number one concern when losing weight, cleansing, or detoxing your body. Fortunately, in most cases, detox teas are very safe (read below for the one thing you need to watch out for though). The majority of them contain pure and herbal teas and natural ingredients that have been utilized across multiple cultures, by millions of people, for thousands of years. We can’t forget that teas were originally used as ancient medicine and still are today. Also, countless scientific research studies using pure and herbal teas have been safely conducted on a vast array of individuals. That said, the main potential concern regarding detox teas are the use of laxatives. As mentioned earlier, a gentle detox is perfectly fine and may be beneficial. However, you must be careful with strong laxatives, especially senna leaves. Overusing Senna and other strong laxatives could even lead to potassium depletion and abnormalities in electrolyte balances. These side effects could trigger even more serious effects such as muscle spasms and abnormal heart rhythm. If you use laxatives too frequently your body can become dependent on them, which could lead to chronic constipation. Be mindful of any severe laxatives present in a detox tea before you begin using it. 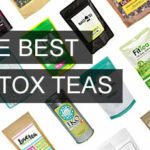 So What Are The Best Detox Teas For 2019? By now you can see how beneficial detox teas can be for supplementing weight loss, cleansing, and increasing overall health. However, the health industry sees this too, which has lead to a massive surge of detox, slimming, diet, and weight loss teas. There are now hundreds of teas on the market to choose from and each one claims to be the most revolutionary and effective detox tea yet. To make matters even more difficult, these detox teas can be considered supplements, so the Food and Drug Administration (FDA) doesn’t regulate them. In this tizzy of teas, where should you even start to find the best detox tea for you? Well you’re in luck because this is why we created this site! 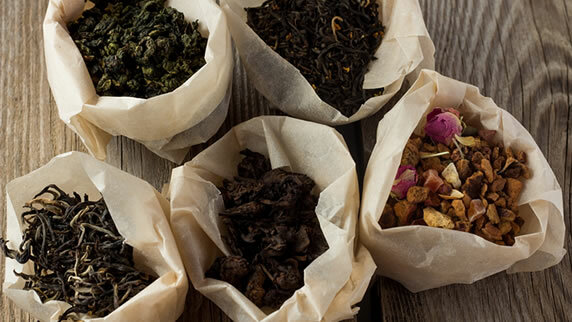 Each year our expert panel of researchers assembles an in-depth ranking and review of the absolute best detox teas that are currently available. In order to do this, we actually go out and search high and low to buy every detox tea we can find. Once we’ve purchased the product, it’s time to put it to the test. Our community of “tea testers” actually tries each and every detox tea on themselves. This is the only way to ensure our reviews and analysis are accurate. You’d be surprised by how few “review” sites actually try the product they’re reviewing! After the testing period is over, we then scrutinize every last detail. We analyze and report the ingredients used (especially if it contains any laxatives), ease of use, taste, price/value, any notable side effects, if it has a guarantee, and finally our personal results with that particular detox tea. Finally, we evaluate and compare each of the detox teas tested and rated and only the premium teas with the highest overall ratings make it to our top 10 list. 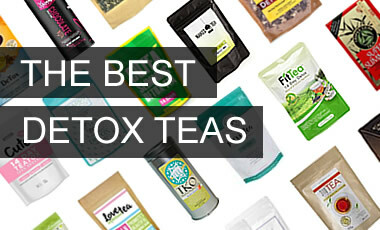 Click here to see our current list of the 10 best detox teas. To see all of the different products we’ve tested, check out our detox tea reviews. In order to get the absolute best out of your detox tea, there are a few things to keep in mind. First off, we know detox teas aren’t liquid magic miracles. There are no “quick” or “instant” cures for weight loss. Detox teas are wonderful tools to help supplement weight loss, cleanse our bodies, and improve our overall well-being. But for the best results, you should use detox teas in conjunction with healthy eating and exercise. This will set your body up in the most optimal state, allowing the teas’ natural components to do their job! Drink water– Keep your body plenty hydrated by drinking an adequate amount of water each day. It’s simple but fundamental. Water will help detoxify and cleanse your body. It’s suggested to drink 2-3 liters of water per day while taking a detox tea. This equals roughly 9-13 cups. Exercise regularly– Aim to exercise 3 – 4 times per week. This makes a huge impact on the effect detox tea and your overall health results. You don’t have to run a marathon, just do some combination of cardio and strength training. Eat healthy– Detox teas may help suppress appetite and curb cravings, but you still have to eat right. Make sure you’re eating plenty of vegetables, fruits, whole grains, beans and lentils, unsalted nuts, low fat dairy, and lean protein. Stay away from processed foods containing high amounts of sodium, sugar, and fat. Also, refrain or reduce the amount of alcohol consumed while using these teas. 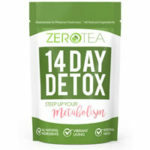 Morning tea– In the AM, drink detox teas that include energy and metabolism boosters such as green tea, white tea, oolong tea, pu-erh tea, and yerba mate. These teas will get you ready for the day, offer up a dose of caffeine, and help burn calories. Evening or nighttime tea– In the PM, only drink herbal teas that don’t contain any caffeine. Also, include detox teas that have mild cleansing properties in the evening. This allows the entire night for the teas’ chemical properties to take effect. Sleep– Your body can’t function optimally if you’re not getting adequate sleep. Get your recommended 8 hours of beauty sleep to help get the most out of your detox tea. If you follow these guidelines, you’ll get the most out of whichever detox tea you decide to use. For more ideas, read our post, “How To Use Detox Tea To Reach Your Body Goals“. How Do I Keep Up-To-Date On All The Newest And Best Detox Teas? If you’re trying to lose weight, cleanse your body, or just live a healthy lifestyle, detox teas may help achieve that. Whether they’re referred to as detox teas, slimming teas, diet teas, or weight loss teas, each are comprised of a varying combination of pure teas, herbal teas, plants with cleansing properties, and botanical ingredients. Each of these natural and unique ingredients can help you reach your personal body goals. Teas have been around for thousands of years and have the backing of countless scientific research studies. Tea is an exciting area that continues to grow as we learn more and more benefits of these potent little plants. As such, the market for detox teas continues to boom and it’s important to stay informed and up-to-date. That’s exactly what we will do for you here! Our experts continuously test and rate every detox tea we possibly can that hits the market. We’ll also keep you in the know of important findings, new ratings, or helpful tips and information to help you get the most out of your preferred detox tea. In order to stay up-to-date, simply visit our website once in awhile and follow us on social media. We look forward to helping you find the perfect detox tea that will have you looking and feeling your absolute best!